When drinking gets out of hand in such a way that your mental health, social life, career, or family life is affected, this is called “problem drinking”. Problem drinking doesn’t allow you to fully live life as it consumes your thoughts and your time. Significant instances of problem drinking can also be known as alcohol use disorder. Often times this type of drinking occurs in people who use alcohol as a way to cope with life’s many issues. But instead of correcting or helping with the problems at hand, this type of drinking is actually creating more serious problems. While not all drinking problems require checking in to alcohol rehabs, this might just be the best solution for those experiencing problem drinking. Do I Exhibit Signs of Problem Drinking? Knowing whether or not you have a serious problem can be hard. Consider having a hard week at work. To handle the stress, you turn to drinking. Although the problems don’t go away, drinking seems to help you manage. However, while you are drinking your problems away, your family and home life is suffering. Also consider that you are celebrating a monumental event in your life. You drink a little too much but still decide it’s okay to drive home. Instead of arriving home safely, you end up getting in an accident, totaling your car, and hurting you in the process. These are both scenarios that exhibit signs of problem drinking. Problem drinking can affect anyone. 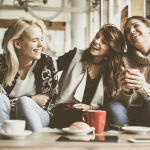 From business professional to veteran, college student, those who are generally predispositions to drinking problems, those with mental health issues, men and women alike, problem drinking isn’t just limited to a certain type of person. Because of this, those who consume alcohol should be aware of how much they drink and what problems it may cause in its aftermath. If you feel you might have more of a problem than you can handle, consider seeking help from an alcohol rehab facility in Texas. What Types of Drinking Problems Are Cause for Concern? Although every drinking problem is serious, not every type of drinking problem is considered problem drinking. No matter what type of drinking problem is affecting your life, it is important for you, your family, and your friends that you seek help from Texas Alcohol Rehabs or inpatient drug rehab in order to get your life back again. 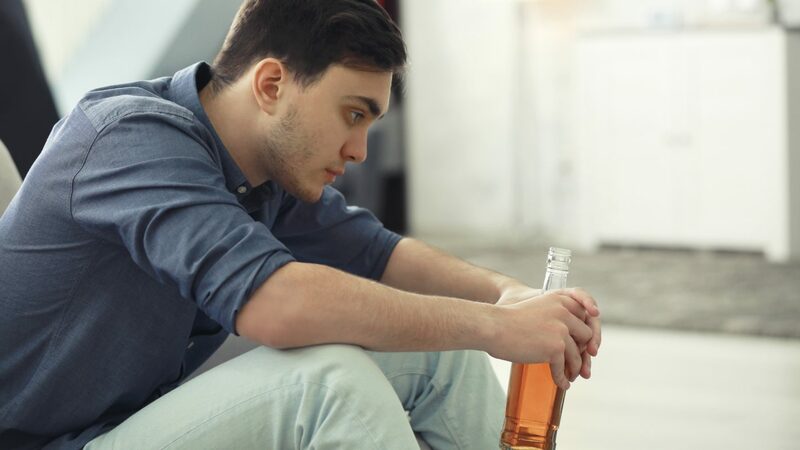 Other types of drinking problems include binge drinking, problem drinking, alcohol intoxication, alcohol use disorder, heavy drinking, or alcohol abuse. All types of alcohol problems are cause for concern. In order to distinguish the difference between drinking problems, here are some definitions of common drinking problems, and if you feel you suffer from one of these types of drinking problems and are ready to get help, Summer Sky alcohol rehab has professionals standing by to help. Alcohol Abuse: Alcohol abuse doesn’t necessarily mean that you have an alcohol addiction but alcohol is often abused which leads to personal issues, work issues, or legal issues. Binge Drinking: Binge drinking is consuming alcohol in large amounts with the purpose of trying to get drunk. Binge drinking is considered consuming 4-5 alcoholic drinks in two hours or less. This type of drinking can be hazardous to your health and maybe even require a trip to the hospital for alcohol poisoning. Intoxication: Alcohol intoxication is displayed through behaviors such as slurred speech, inability to walk straight, impaired judgment, or erratic behavior. Alcohol intoxication levels are different for everyone based on the size of each person, but is it a drinking problem that can lead to accidents or poor decision making. Heavy Drinking: Heavy drinking refers to people who drink several times a month, at least five or more. This type of drinking also comes with health issues such as liver disease, hypertension, or more serious health concerns such as brain damage. Problem Drinking: If drinking leads to accidents, emergency room trips, injuries or bodily harm, problems with friends or family, then this is known as problem drinking. Drinking that leads to problems that don’t just affect the drinker, but it also affects others. Serious harm can come to those your love because of problem drinking. Consider those you love and be aware of drinking around other. Carefully consider the seriousness of how much and how often you consume alcohol. Also think about your future and the future of those you love. If you always drink more than you intend, can’t seem to stop drinking even though you want to, having a craving for a drink, spend a lot of time drinking, drink even when loved ones have asked you to stop, or have had problem situations arise because of your drinking, then it may be time to seek treatment from an alcohol rehab facility in Texas. Don’t let your drinking stop you from living life. Counselors and experienced professionals at Summer Sky are prepared to help you take the first step towards sobriety.